We take your oral health and hygiene seriously, and so should you. 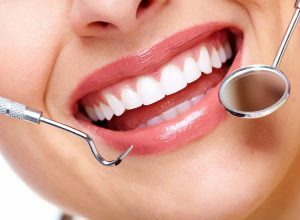 At Dr. Nelly Soliman Wahba Family Dentistry, we are trained in providing the utmost in oral health and hygiene to ensure periodontal disease and tooth decay do not develop or progress. We maintain our equipment to ensure you a fast, effective, comfortable experience. A preventative care plan requires you to make semi annual visits to the dentist for cleaning, polishing, and x-rays. In addition to important oral hygiene processes, we also conduct vital oral cancer screenings using the fast, pain-free VELScope technology. It works by shining a light into the mouth and highlighting any potentially cancerous abnormalities. The process takes only a few minutes and makes early detection a greater possibility. Our professionals also perform oral biopsies. We remove suspicious cells and tissue and send them to a lab for examination and diagnosis.